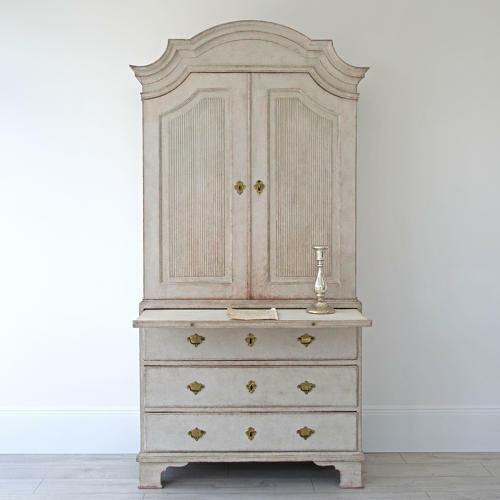 An outstanding late 18th century Gustavian period cupboard featuring a beautiful top cabinet with decorative arching pediment cornice and shaped panelled doors with vertical reeding, over a three drawer base cabinet with rare concealed pull-out desk slide. A stunning period piece with a wonderful refined antique patina. Swedish circa 1790.